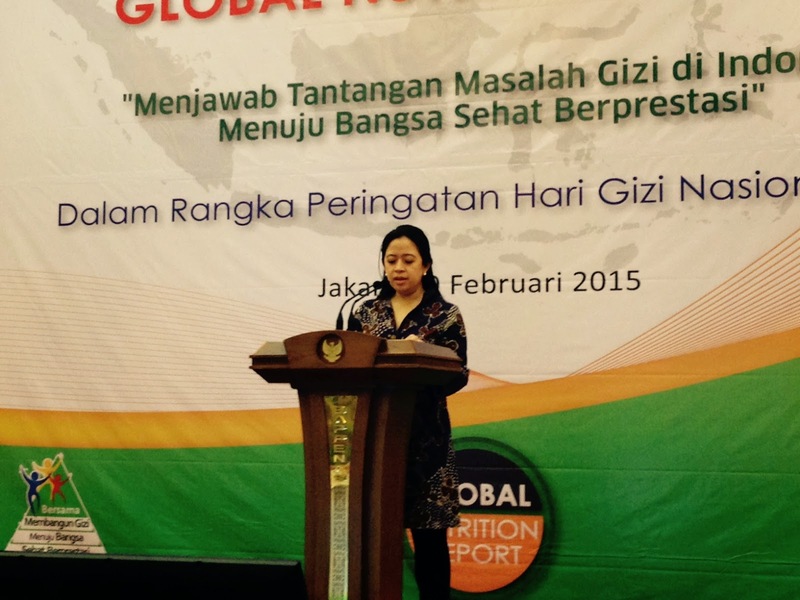 We were in Jakarta earlier this week for the Global Nutrition Report roundtable. It was organized by the Ministry of National Development Planning. Nina Sardjunani the Deputy Minister for Planning (member of the GNR Stakeholder Group) and Prof Endang Achadi (IEG member) were behind the planning of the workshop. Two Ministers were there to open the proceedings (Human Development and Coordination (Puran Maharani, daughter of former President Megawati--in picture) and Bappenas, the Planning Ministry), Professor Soekirman and the US Ambassador Blake was among the dignitaries. Like Odisha, this was an all-day affair. It was wonderfully organized and set up. The morning was more formal with about 300 people and the afternoon more informal with about 100. * Shock. Many in the audience were floored by the fact that Indonesia was one of only 17 countries with high levels of under 5 stunting, wasting AND overweight. Stunting rates are high (36% from a 2013 government survey), static, and, for the poorest quintile, are actually increasing. One of the senior government officials said it was a “disaster”. The Indonesia Nutrition Country Profile gives more details. * Decentralization. It is clear that while most of the power for improved nutrition lies with the +500 Districts, there does not seem to be a plan for getting them to focus on nutrition. This could be done through regulation, investment (in capacity) or incentives, but while each District has an action plan, there is no action plan for dealing with the Districts. * Potential. The potential for a big change in malnutrition seems high. The economy is booming, poverty is falling, cash transfers are in place, a new law is being introduced that would raise the age of marriage to 18 from 16, there is tons of up to date data, and the central government seems committed (ranked 7th in the nutrition component of the HANCI). 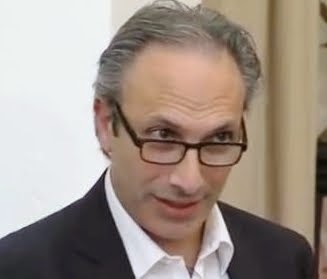 * Think tanks. The gap between government and research seemed quite significant. Nutrition in Indonesia needs something like a SMERU and Prof. Soekirman announced a new such think-tank, the IGI, launched in October last year. This will help link existing and new research to policy making and vice versa. It should keep the issue in the media, help governments use existing data and become better consumers of evidence and help researchers to pose more relevant questions. * Leadership. It is pretty clear that nutrition leaders in Indonesia need to be extraordinarily adept—excelling in horizontal coordination (across sectors and stakeholders at the same level) and in vertical coordination (from national to sub district). This requires so much more skill than knowledge of nutrition. It requires people to stick their necks out to make decisions that might not please key constituencies, make a compelling case and build relationships outside their comfort zones. None of this is easy, but it has to be done. * New Plans. New plans for nutrition improvement are being drafted for 2015-2019 and they are going to be multisectoral, not just focusing on food and health. In principle this is very good, but in practice it makes it even more demanding to implement, so capacity investments will have to accompany the changes. Also the proposed name, Food and Nutrition Plan, needs to change to something like Multisector Plan for Nutrition. Food is important, but so are the other sectors. The proposed name would privilege one sector over the others and often food is not the main constraint to improved nutrition. In sum, all the ingredients are in place for a rapid reduction in malnutrition in Indonesia. We just need a few adventurous cooks with the keys to the kitchen who can develop, articulate and implement plans for nutrition. If Indonesia wants to lock in enhanced economic performance in the future, it needs to invest in nutrition now.